Happy Easter! Thank you for all the opportunities. One of these days I’m gonna win! I love Target and your blog! I can’t wait to see if I win. WOW! What a generous giveaway!!! Hope I win this giveaway! Hi and happy Easter. It would be great to find a gift card in my basket. Thanks! Already follow on FB also. Happy Easter ! I LOVE LOVE LOVE TARGET !!! I would love to win! Happy Easter!!! And I’ve “liked” Totally Target on Facebook. I like totally target !! 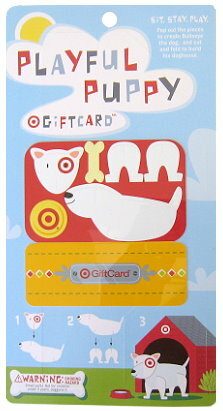 That gift card is so cute! I love Totally Target. I would love to win!